Jack’s Popcorn Company is a Micro-Enterprise of Jack Rovetti. With assistance from family, Jack makes delicious, all-natural Doc Popcorn for special events and home orders. The long range goal is for this to become a successful small business with a permanent location in Reno for Jack, who has Down syndrome. 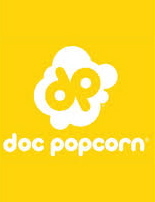 Doc Popcorn is a franchise based in Boulder, Colorado. Jack and his mom and dad traveled to Boulder in August, 2013, to become certified poppers at a 5 day Doc Popcorn business training. The training was held at the Flat Irons Mall Pop Shop where Jack learned to take orders, pop popcorn, serve drinks and samples as well as take inventory and clean the shop. You will see Jack and his Pop Cart at events in the Reno/Sparks area serving fresh popped corn. We have a new contract with the Convention Center, so if you are attending a large event there, come find us! You can also order a six pack or tin, or a whole batch for a party for pick up in Reno. Popcorn is a great gift for birthdays, teacher gifts, anniversaries, thank you gifts, office parties, or just to make someone’s day! Click on the order tab above to order some popcorn today!